Description Photo courtesy of Donald & Linda Burdick. 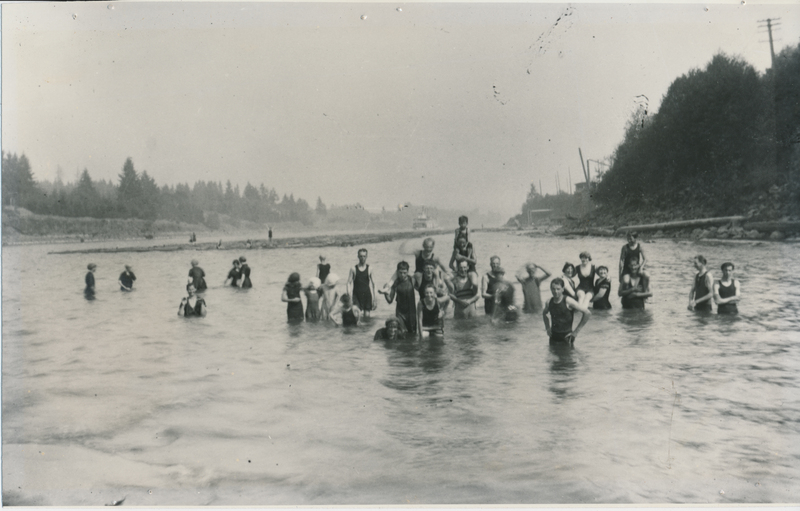 People swimming in Willamette River off of the shore at George Rogers Park. Log hoist in background on right. Transcription is from backing that came with framed photo.